Mrs. Amanda Elizabeth Hamilton, 88, years of age, passed away Thursday, January 10, 1952, at her home in Holt, Missouri. She was the daughter of the late William and Reta Brown and was born at or near Holt, Missouri. 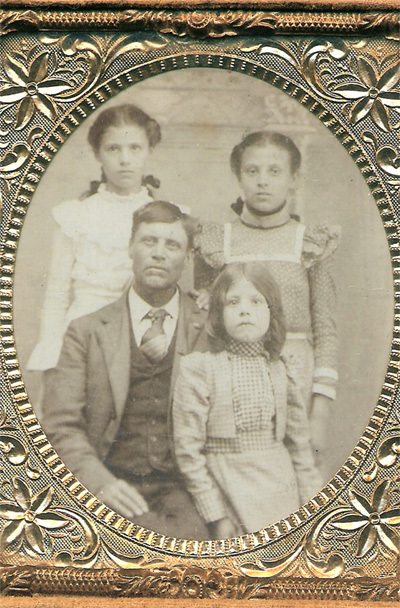 Miss Amanda Brown was married February 15, 1880, to George Johnson and to this union eight children were born. Mr. Johnson passed away leaving her with the children to rear. Surviving are: one son, George E. Johnson, Kearney, Missouri, three daughters, Mrs. Carrie Brophy, New Rochelle, New York. Mrs. Della Stevens, Holt Missouri, Mrs. Emma Ferril, Kansas City, Mo.,. Also a Brother, George Brown, Kansas City; twenty-one grandchildren; thirty-four great-grand-children and ten great-great grandchildren. Mrs. Hamilton perhaps has a larger number of grandsons and great-grandsons serving and having served in the military service than any other grandmother within a large area, there being eighteen including four grandsons by marriage to her grand-daughters. Mrs. Hamilton was one of those hardy industrious persons who was happiest when she was up and doing for others. She bore her own burdens and misfortunes with little or no complaint. She was a Christian woman and a member of the Hold Christian Church, being its last charter member. Funeral services were conducted from this church Saturday afternoon by Rev. Baxter Waters, a long time friend of the deceased. Interment was made in the old Haynesville Cemetery. A truly good woman; who could translate her Christianity into daily living in a larger measure than many have been able to do: has been called home to the eternal peace and rest she so richly deserved, by a Merciful and Just God.